You are awesome! No, I need to correct that. YOU ARE ALL KINDS OF AWESOME! Girlfriend, YOU are all kinds of awesome in my eyes! And how do I know this about you? Because you are a Sand & Sisal reader! Woo hoo! 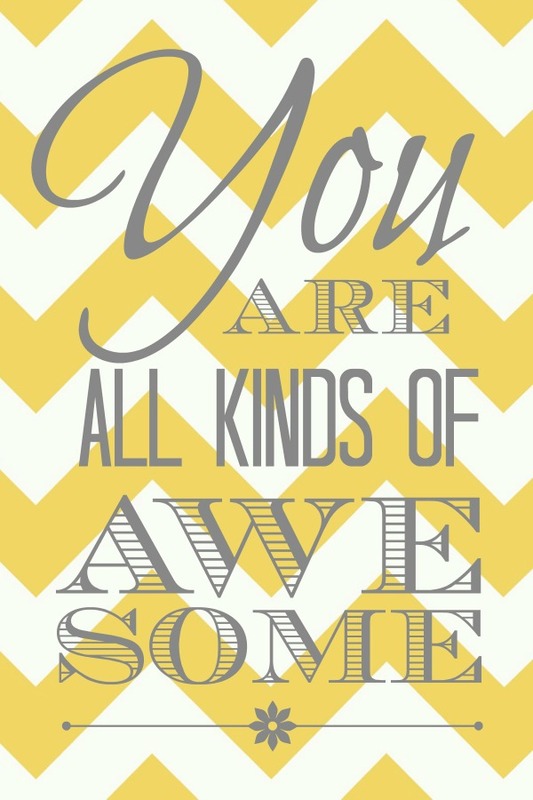 And just to encourage and remind you just how AWESOME you are to me, I made a little yellow chevron printable for you! 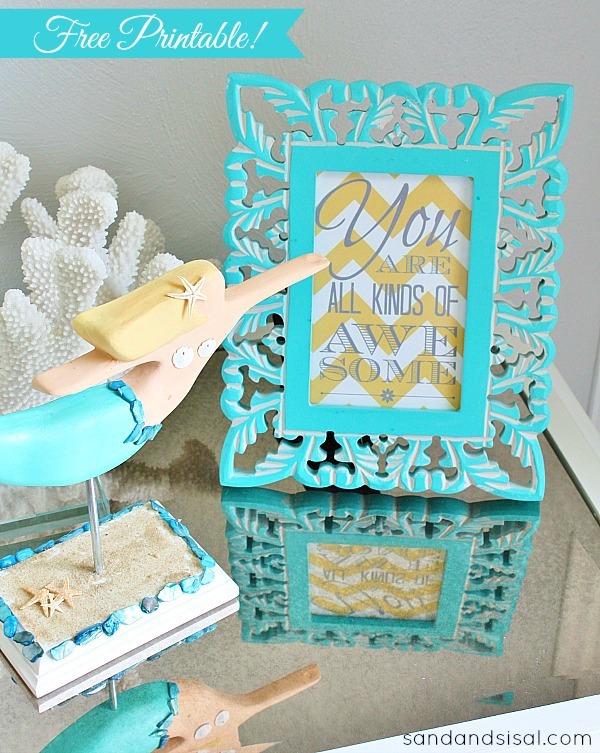 I printed one out for my daughter’s room which just underwent a dramatic teen room makeover. I hope that every time she sees it, she feels a bit more confident and self assured. We all need a little inspiration and encouragement from time to time, right? I want to say thanks for following along with the blog and being so supportive over these past 4 years! I truly appreciate each and every one of you! And remember…. YOU ARE ALL KINDS OF AWESOME! 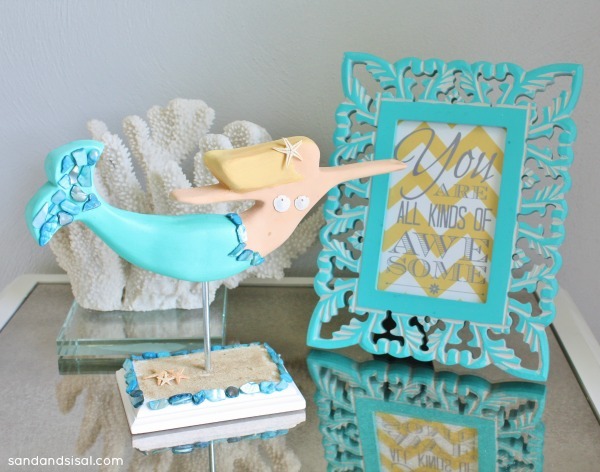 i love the combination of turquoise, white and yellow very much! 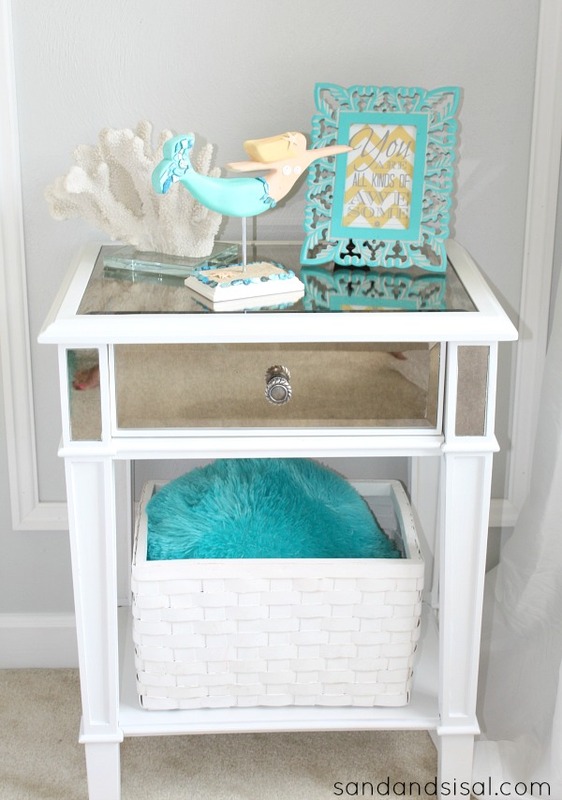 This printable will be perfect for my updated foyer! The yellow chevron matches the artwork I just painted. Yay! Thanks Kim, I am going to give this to my niece for her room at college. It’s a good message to see every day! Sand and Sisal not only puts great content on their blog but Kim will actually respond to your questions within minutes. I find this a great advantage over other blogs that I have read. Thanks Kim ~ you are all kinds of awesome! !